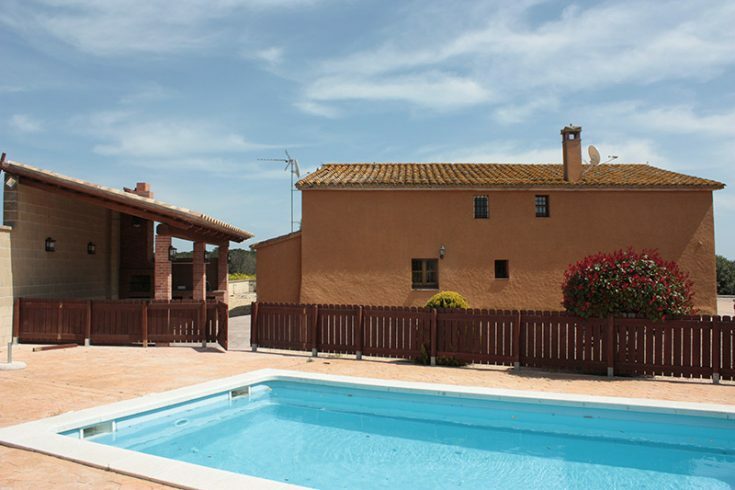 Cal Eduard is a spacious and very comfortable house with a large private garden and fenced pool in a very privileged location, just off the fairways of the Caldes de Malavella PGA golf course. 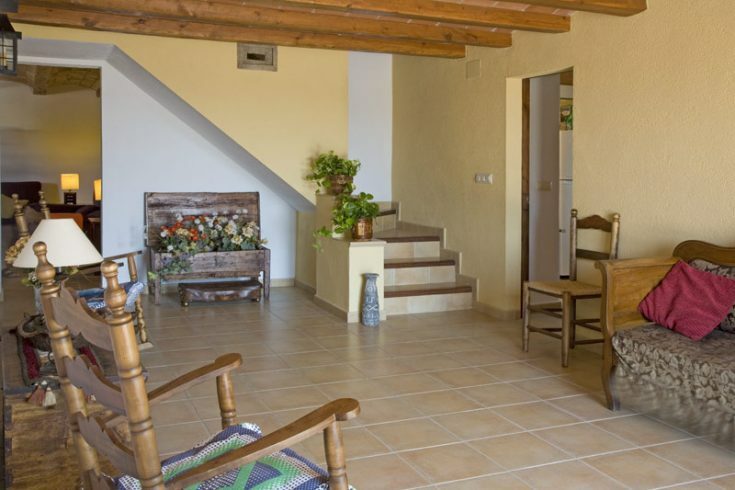 Golfers will enjoy the proximity to the club but anyone would enjoy staying at this nicely restored, comfortable and well-situated house, just off the A-2 freeway, a fast 10-minute drive south of Girona. 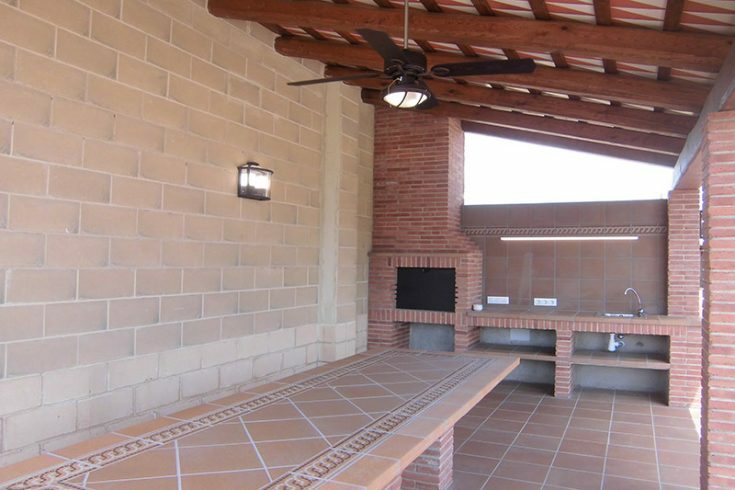 A new permanent covered outdoor bbq dining area is situated between the house and the pool, seating over 12 guests, with BBQ, sink and food prep area, all lit up for nighttime meals. Location: Cal Eduard is just across from the PGA clubhouse and the four-star Melias PGA hotel-golf complex, which has a nice modern bar/ restaurant/ terraced café and central pool and play area - all of which you can use if you consume some food and/or drink while you are there. The owner of Cal Eduard sold part of her land to allow the construction of the golf course, and guests at this house are welcome to use the facilities. Behind Cal Eduard and through the pine woods there is a restaurant within walking distance, a very simple and inexpensive place that specializes in BBQ grilled meats. See the comments page about walking home at night after a meals there in the testimonial's page. 2.5 miles away is the locally famous spa town of Caldes de Malavella where there are remnants of Roman baths, a nice old town with plenty of cafés and restaurants, fancy spas like the art nouveau Vichy spa-hotel, and the commuter train to Barcelona (1 hour) and Girona and points north. There is a full range of shopping in Caldes, supermarkets and specialty shops, as well as restaurants and tennis clubs. The historic capital city of the Costa Brava, Girona, is just 10 quick km up the new A-2 toll free highway, meaning it is now easier than ever to drive up for a walk around that famous and lively old town. The closest beaches would be those around Tossa de Mar and Sant Feliu de Guixols, a quick 15 km on the C-35 motorway, but there are about 40 blue-flag (top notch) beaches on the Costa Brava, and Cal Eduard is a short drive from almost all of them. Getting to and from the beaches on the back roads is part of the fun. 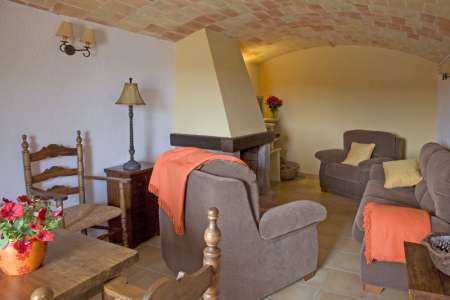 The countryside is gorgeous and the old farmhouses spectacular, like in Tuscany and the best parts of Southern France. You can search any of the place names mentioned above in internet for further info, and many of the beaches on the Costa Brava have their own websites, sponsored by the local municipality and with photographs and a rundown of services (showers, cafés, lifeguards, water sports, diving, etc.) 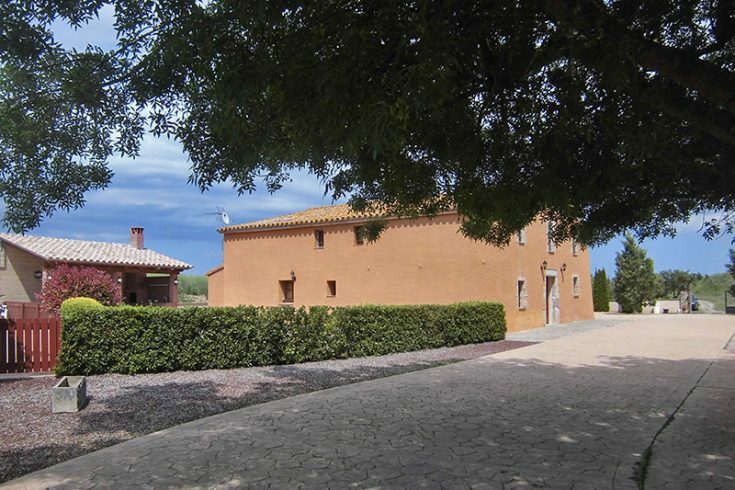 My website also has travel info on 10 different routes within the Province of Girona and with some photos. All rentals come with a free copy of my 94-page Insider's Guide to the Province of Girona. Caretaker: the owner of Cal Eduard has secured the services of a caretaker to look after the property and her guests, and quite wisely she chose Neus Vila, the same woman who runs such a tight ship at Can Cunill, another fantastic house we offer in the area. Neus has a café in nearby Sils where you always find someone if you need to. The villa grounds and garden: around the house you'll find a quite sophisticated walled-in garden landscaped with a variety of surfaces, ranging from different colored cork, bark, and volcanic stone and organic paving tiles, with different types of shade trees, the entire perimeter walled-in, as is the pool, with a wooden fence for child safety. There is a new permanent covered outdoor dining area between the house and the pool seating over 12 guests, with BBQ, sink, food prep area, all lit up for nighttime meals. 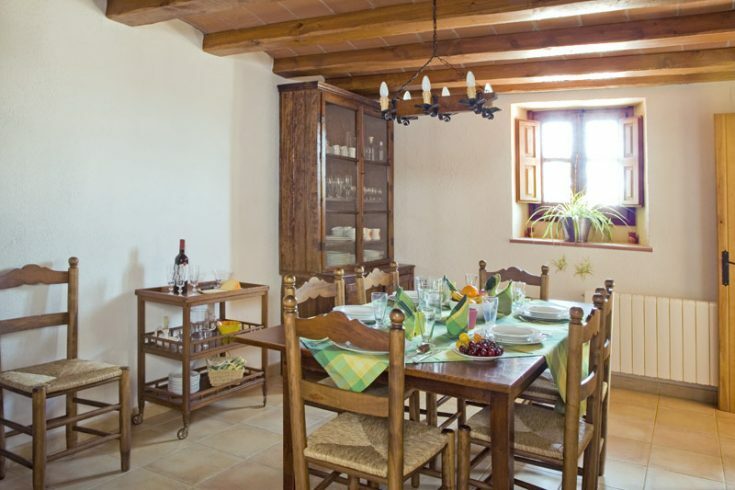 The interior: The large wooden and glass front door opens onto the large typical Catalan farmhouse central room - at well over 40m2, too big to be called a central hallway, more like a large central room like the central nave of a cathedral, flanked on either side by the living and dining rooms and kitchen, and with the stairway up to the first floor at the far end. This distribution is very logical and is repeated upstairs with the large central room under lovely wooden ceiling beams around which the five bedrooms and four bathrooms are distributed. Downstairs: To the right of the main entrance is the first of the two living rooms, this one with a large fireplace and a 42" flat screen TV, a cloth sofa seating three, two lazy chairs under a reading lamps, and a card table over by the window looking out towards the front of the house. Next comes the second and larger living room, this one with another 42" TV, a portable radio/cassette/tape player, two large 3 person sofas (which can be slept on if needed), and two separate card tables seating 4 each. The windows here look out over the pool and BBQ area. Across the central entrance is the cozy dining room, also with a second fireplace, the dining table seating around 12 guests, and there are two doors from the dining room, one to the central hallway, and the other leading conveniently into the kitchen. The modern kitchen has medium-sized fridge (there is another fridge in the ex-garage space), double sink in front of a window, electric hob and oven, dishwasher, microwave, stick mixer, toaster, etc. and plenty of marble counter space for food prep. Beyond the kitchen is the downstairs toilet with sink, so that you don´t have to go upstairs to go, and beyond that is the what used to be the garage, but now there there are outdoor covered parking spaces in the garden, has now become a ping-pong playroom that is nicely lit at night. Outdoors there is a new shed full of the stuff the owners have bought for the garden, including a shaded swinging sofa, two sets of outdoor seating: one in plastic and the other a bit fancier with cushions and in metal, the ping pong table, and of course the 8 lounge chairs and the 3 parasols for poolside. Oh, and the barbecue on wheels is also in there, and this can be rolled to any spot in the garden for outdoor meals. 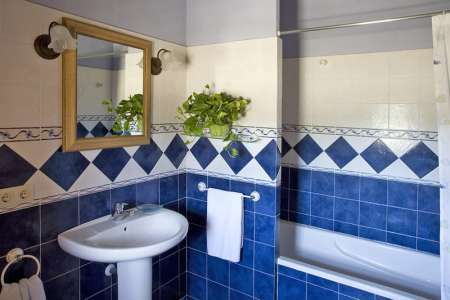 Bedrooms 1 & 2 & 3 & 4 are large rooms with two single beds (200x90cm) and private en suite bathrooms with bathtub with shower curtain so that you can shower properly, as well as bidet and sink. Bedroom 5 is a smaller room with one single bed and a side door that opens directly onto the bathroom for bedroom 4, making bedrooms 4 and 5 share a bathroom in the middle. All four of the larger rooms are big enough to have extra beds put in, and there plenty of built in closest, bedside tables with reading lamps, and windows looking out on the garden and surrounding countryside, with mosquito netting and shutters. I remember the nice room I stayed in had a writing desk as well. All in all, a very nice place, and if you are golfers or just like to be surrounded by greens, this house is very close to paradise. The PGA attracts some VIPs and so the entire area is patrolled 24/7 and Cal Eduard villa falls within the PGA precinct so while not being at all obtrusive you do feel you are very well protected here. 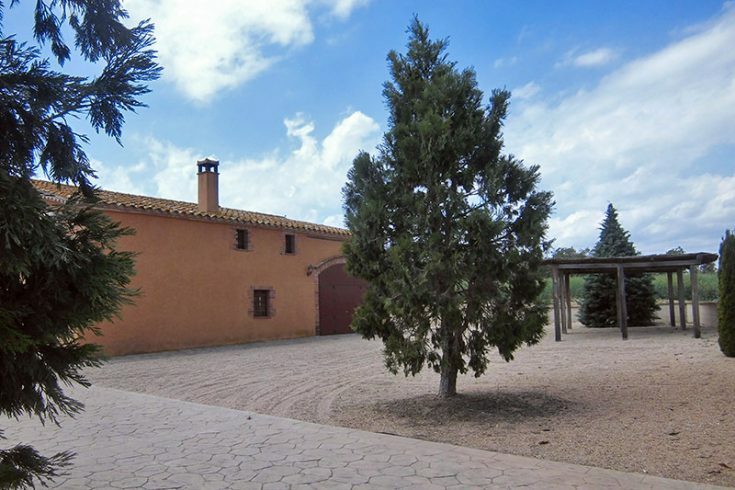 Most of the photos you see in this listing were taken by my wife and a photographer friend over a long summer-solstice Sant Joan weekend we enjoyed here in June 2011. We were two families plus guests and frequent visitors stopping by for barbecues and a dip in the pool, and we had a fantastic time. Cal Eduard is an attractive property in a excellent location. 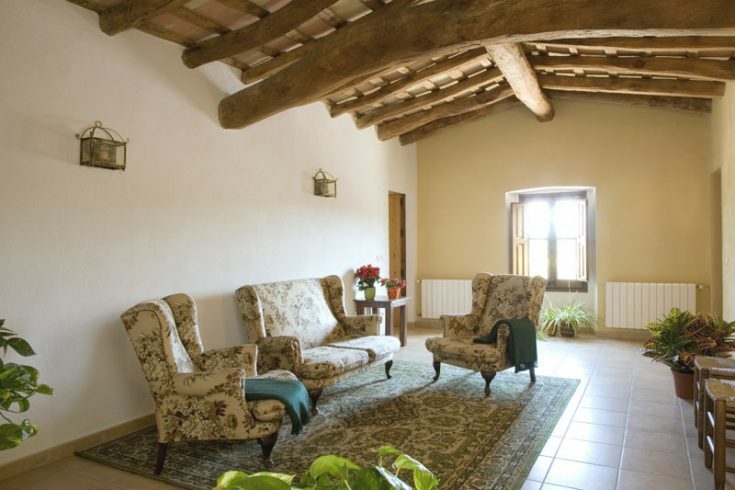 sleeps 12 in 5 bedrooms, with 5 bathrooms in 400 m2 house, beautiful walled garden. 4 bedrooms with 2 single beds, 1 bedroom with 1 single bed, all with private bathroom. there are 3 extra beds that can be placed anywhere you like + 3 cots & 2 high chairs for babies. 2 bedrooms are large enough for 4 single beds. Either of the 2 living rooms can be made a bedroom. 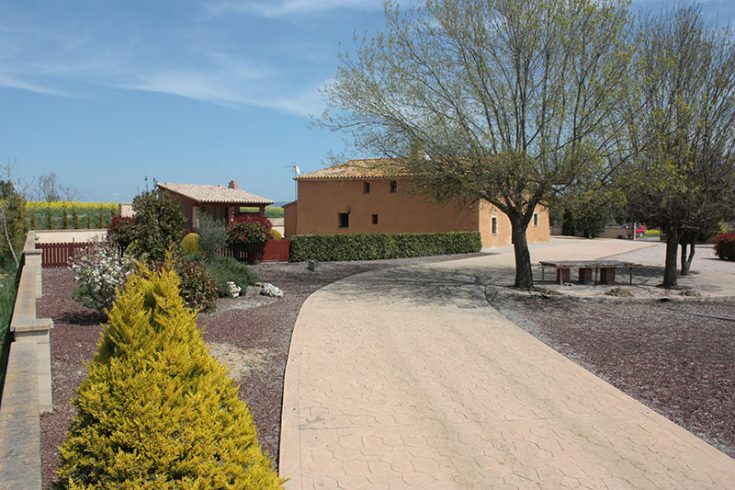 situated on the PGA golf course at Caldes, a short walk (8 minutes) from the clubhouse. altitude: 65m, 12 km to sea, 4 km from town/train/shopping, 15 km to Girona, 75 km to Barcelona. 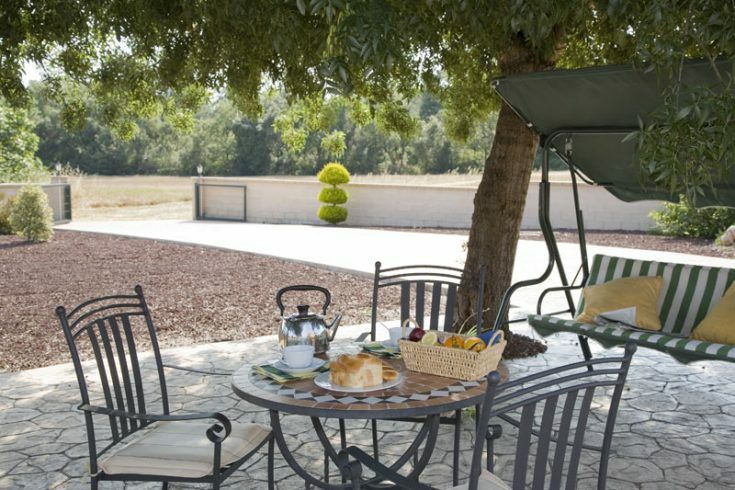 private fenced pool (8x5 m), beautiful BBQ dining area, swings, ping pong, free WIFI internet connection.